There was quite a bit of discussion on the bus enthusiast groups when this advert came out, especially as First have long had a policy of not selling their buses on to other operators. 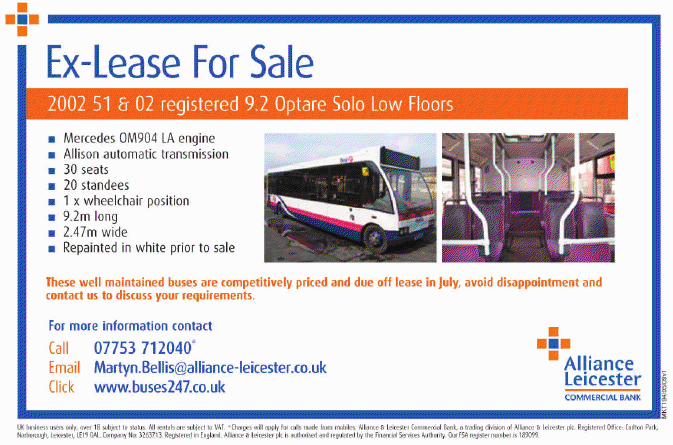 The Optare Solos have come from the First Glasgow fleets having been returned to Alliance Leicester on the end of their lease, hence they are on the open market. Target Travel have just acquired 4 of them, presumably for their extra services just won on tender to the City Council.